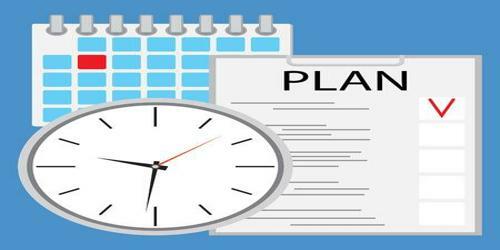 The date, time, venue and the type of activity planned should be mentioned on the agenda. The number of invitees expected to attend may also be listed on the agenda. It is essential for the creator to remember that every plan may require a different agenda. The creators must bear in mind that the planning agenda needs to be prepared professionally especially when the matter relates to companies and organizations. Team Introductions, History of the Organization & Individual Background. Name of the facilitator and his or her role. Ground rules of the facilitation. The rules for the oncoming days. Presentation of the latest strategic plan. The measure of success and things to begin building on. 10:30 AM to 11 AM. Icebreaker game to set the tone for the day. Survival game to make strategic choices. 11 AM to 11:30 AM. Core competencies & competitive advantages. Strengths, weaknesses, opportunities, threats [swot]. 11:30 AM to 12:15 PM. Organizational values & guiding principles. The negative behaviors which need to be addressed with a statement on the values. How much do the stated values differ from actual behavior? 2:15 PM to 3 PM. 3 PM to 3:15 PM. 3:15 PM to 4:15 PM. The vision of the organization for the next year, three years, five years, 10 years & 25 years. 4:15 PM to 5 PM. 5 PM to 5:30 PM. Questions, concerns, and thoughts about the day before adjournment. Create the invitation to the party. Create recipes as required for eight people. Choose a beverage to be served during the party. Select a set of food items for serving at the party.